How Do I Troubleshoot a Maytag Neptune Tl That Won't Drain? When a washing machine malfunctions, you may feel that the appliance is too complicated to figure out. But there are quite a few problems with washing machines that can be solved and sometimes fixed by the homeowner. Also, most washing machines are the same no matter when they were made. Whether you have a high-end machine or an older model, they function in the same way, which makes troubleshooting easy. If you've loaded in the clothes and pushed the on button to get no response, you have some sort of power issue. First, start by checking the obvious. Make sure the machine is plugged in properly. Also, check the breaker box. Flip the breaker switch and see if power comes back to the appliance. If that doesn't work, consult the owner's manual to find the fuse. There is a good chance the machine's fuse has blown and needs to be replaced. The controls inside the washing machine can also lead to no power. Several controls inside the machine have different jobs. Some controls that lead to power issues include a lid switch, a centrifugal switch or a timer motor. If you want to make sure the controls are working, again check your owner's manual to find the location of the controls. Purchase a multimeter, which measures electrical current. If the meter is not picking up a current, it means the control is either dirty or must be replaced. Before using the mutlimeter or opening up the washing machine, make sure the appliance is unplugged. 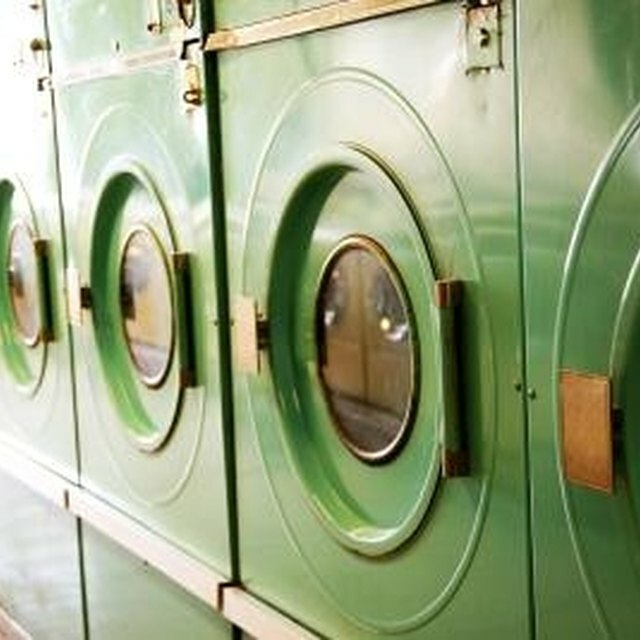 Another common washing machine problem is a lack of water. Sometimes the washing machine just won't fill up. The first thing to check is the water supply valves. These are usually located on the wall behind the washing machine. A hose should run from the valve to the machine. Make sure the valves have been turned on. Next, make sure there are no kinks in the supply hoses that run from the supply valves. If nothing is in the way of the hoses, consider the machine's controls A malfunctioning control can lead to a machine that doesn't drain, keeps filling or fills slowly. If the washer doesn't want to drain or stops filling, the problem may be with the pressure switch. When water enters the machine, water fills a tube in the pressure switch. When the air pressure reaches a certain point, it triggers a switch that will stop the machine from filling. Take a look at your owner's manual to find the pressure switch in your machine. Look for signs of damage. Also once again use a multimeter. If there is no reading from the meter, the pressure switch should be replaced. Washing machines can also leak on occasion. If this is happening to your machine, check the drain hose. The drain hose should be next to your supply valves and run through a hole in the wall. Make sure nothing is blocking this hole and causing water to back up. There could also be problems with the machine's pump. Depending on your washing machine model, the pump is at the bottom of the machine and connects to the motor. Disconnect the pump from the washing machine and check for anything that may have caused a blockage in the system. Again, do not attempt any of this until the machine has been unplugged. James J. Siegel is a journalist with over ten years of experience. He graduated from Bowling Green State University and works as an editor for a trade magazine. His freelance work has appeared in San Francisco Apartment Magazine and Meefers.com. Does Low Water Pressure Affect Front-Loading Washers?